MASSACHUSETTS CDL TEST ONE TIME OFFER. 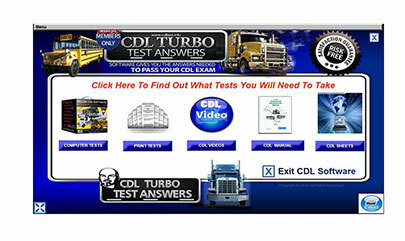 PRINT: You are able to print EVERY one of the Massachusetts CDL Tests as well as the separate answer sheet. EACH TEST SEPARATED: We took each Massachusetts CDL Test and separated them by endorsement. NO GUESSING on which test you need to take. EACH QUESTION SHUFFLED: Each time you fire up the Massachusetts CDL Tests it has been programmed to shuffle the questions. This is the MOST EFFECTIVE way to learn the correct answer. No thanks. 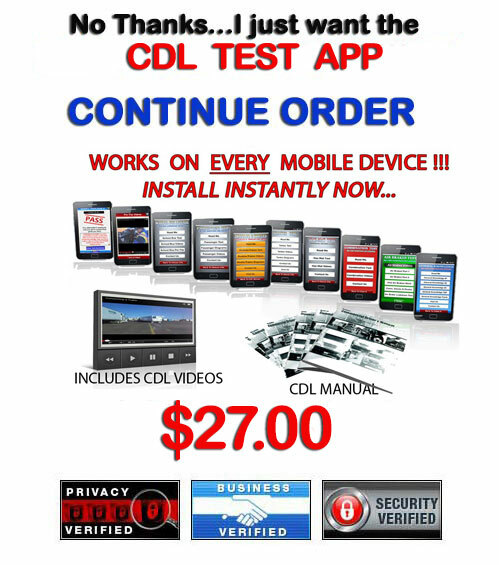 I will pass on this offer and just get the Massachusetts CDL Test App that I requested. I know I'll NEVER be given this opportunity ever again and I'm OK with that. I understand that the option to print out the Massachusetts CDL Test Questions and Answers is ONLY available in the Massachusetts CDL Deluxe Software. I am ready to pass on this offer.